BERSPEED allows an increase of speed, without burning the highlights, and with full shadows. 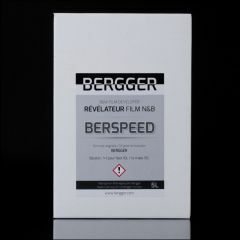 However, when films are used at their box sensitivity, BERGGER BERSPEED produces very detailed negatives, with fine and smart grain. Even if it was formulated by BERGGER to fit the BERGGER film requirements, BERSPEED can be used with films from other brands. BERSPEED is able to produce very good negatives, either with traditionnal grain film, than with T-grain films.